So many biopics are being made on Jayalalaitha that we have lost count on them now. One more biopic has been announced by Tamil producer Jagdeeswar Reddy today in Chennai. Well, the actress who will play Jaya has been kept under wraps the actress who will play Sasikala has been announced. The update is that Tamil beauty Amala Paul will be playing Sasikala. This is a very interesting choice by the makers who are yet to unveil the director of the film as of yet. Kangana Ranaut and Nithya Menen are also playing Jaya in few other biopics. Kajal accepts Sudheer Verma’s film! 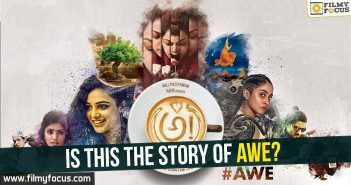 Nani’s AWE gets the new release date! Is this the story of AWE? Adirindhi poses litmus test for Sharath Marar!